radiance, as great skin is so much more important than a fab haircut or new pair of shoes. However, it’s no longer essential to invest hundreds of pounds in a great skincare regime thanks to advances in technology and investment from some of our high street’s most recognised brands. This Autumn Superdrug are extending their hugely successful Optimum skincare range with the launch of new Phytodeluxe; featuring a day and night cream in beautiful (yet practical) pumps, the inclusion of the unique ingredient Black Diamond Truffle helps to reduce the appearance of fine lines and wrinkles while improving skin’s elasticity. The result is skin that glows from within, while the formula is comparable with products ten times Optimum Phytodeluxe’s price point. your house to look after your skin effectively. I’m always impressed with the performance of Superdrug’s own brand skincare (as is my mother and grandmother – they put some of their other products to the test earlier in the year and loved them so much they’ve been re-buying ever since,) and these two creams haven’t underwhelmed. The lightweight creams quickly absorb to leave my skin feeling plump and fresh, without overloading the surface. Although I haven’t been using these long enough to report back on whether or not they’ve made a long-term difference to my fine lines (it’s incredibly difficult when I’m always chopping and changing!) they’re a pleasure to use and my initial impression is definitely positive. 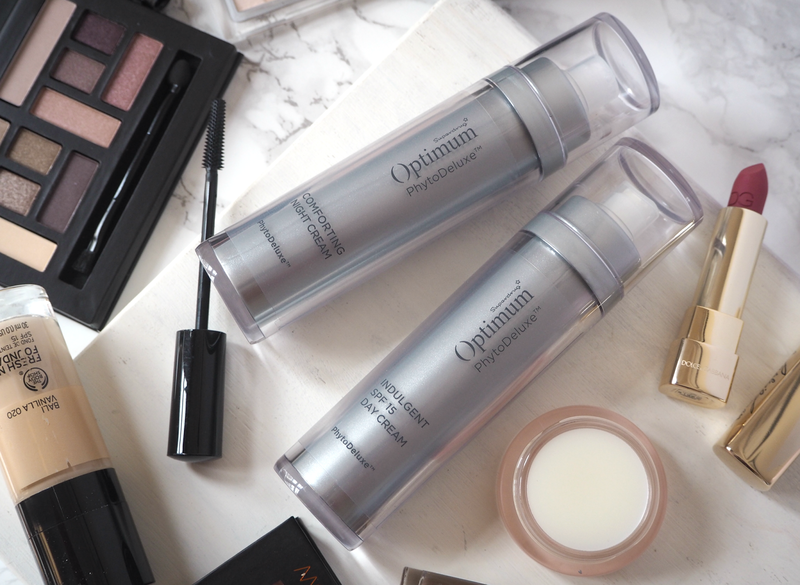 If you’re in the market for a new skincare regime and can get a bit baffled by claims, nine-step routines or packaging that needs an engineering degree to open, then Superdrug’s new Optimum Phytodeluxe offers a simple alternative that’s easy to get on board with. For less than £30.00 you can ensure your skin is getting what it needs on a daily basis, so you can worry about all the other pressing matters in our increasingly busy lives. Because who’s got time to worry about wrinkles? The new Superdrug Optimum Phytodeluxe day and night creams are priced £14.99; available now nationwide. This is a sponsored post on behalf of Superdrug. All opinions are my own. Apparently it's very similar to Elizabeth Arden's top products, which are £200+. My mum and nan use their products religiously now, alongside Olay, since I got them to trial it! Only downside is there's no serum – but they do have serums in their B range that are good.